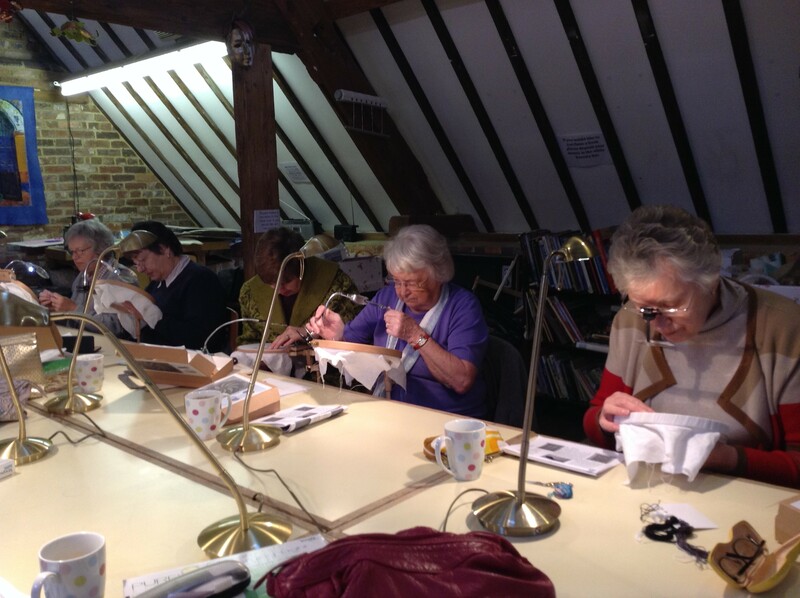 Jen’s classes are held at Walford Mill Crafts in Wimborne, Dorset, please be aware that the class room is accessed via 3 flights of stairs. Places are limited to ensure everyone gets individual attention. Booking is essential for all classes and a materials charge is payable on the day. Booking is essential. 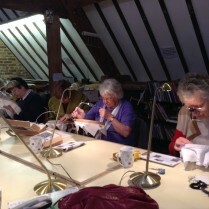 Classes run on the Saturdays listed above from 10am – 4pm. Tea, coffee and biscuits are available all day. Lunch break is 1pm-2pm, please remember to bring along a packed lunch or book a table at the Millstream Bistro. Sessions cost £40 plus any materials used. As Jen’s morning session is currently fully booked an afternoon session has been added to the autumn term. Jen’s short courses offer the opportunity to work on more in depth projects than a single day class. 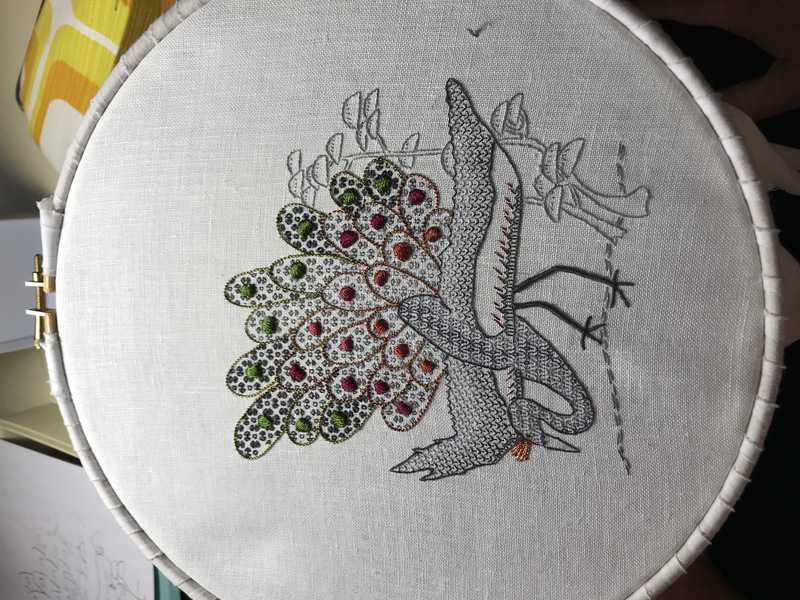 You can choose from Jen’s wide range of embroidery designs or you can develop your own ideas to create a true, one-of-a-kind embroidery. 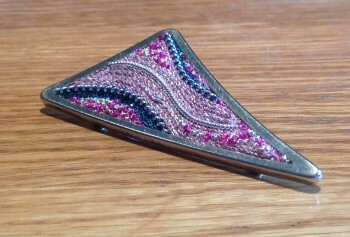 £150 per person, plus costs for any materials used. Booking is essential. Classes run on Tuesdays with the morning session running from 10am – 1pm and the afternoon session running from 2pm-5pm. Tea, coffee and biscuits are available all day. 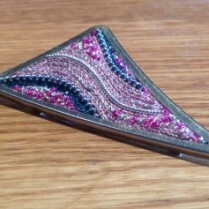 Terms cost £150 (£15 per session) plus any materials used. 10 sessions each term (except Spring which is 6 sessions). 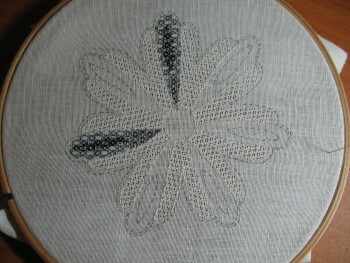 This autumn a silk shaded iris is being worked as the first stage of the developing silk shading series of distance classes. Irises are notoriously challenging as they have so many conflicting angles and dramatic colour changes. 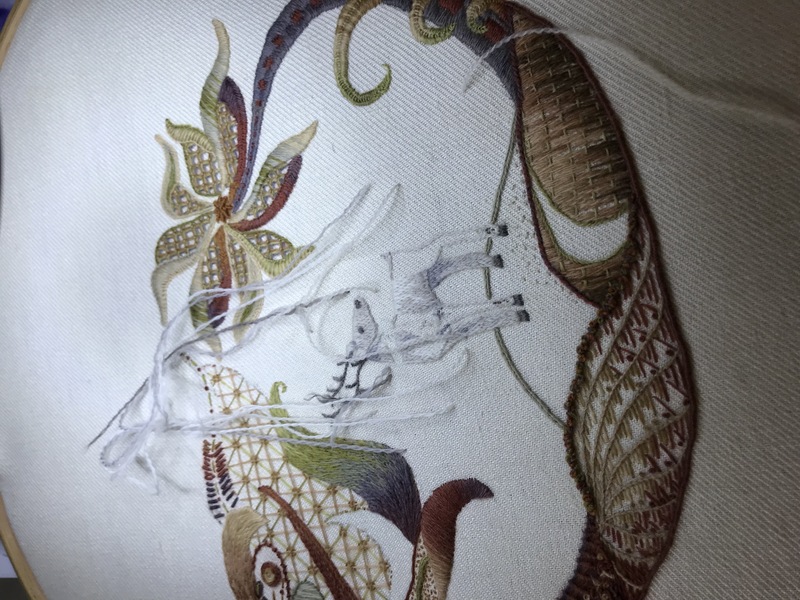 However the accompanying videos will show how to carefully angle stitches and how to blend through colours to ensure a realistic three dimensional effect is created. 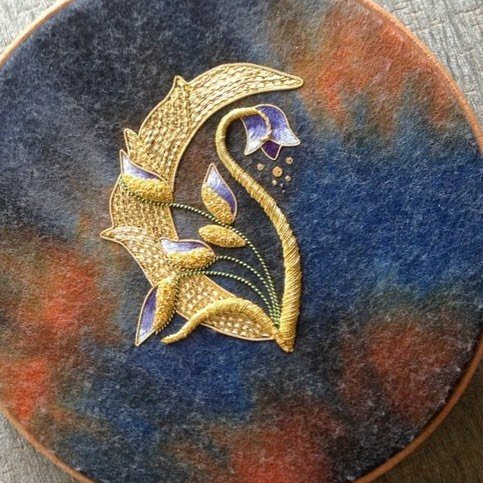 An ideal choice for those of you who have some experience of embroidery and are looking for an in-depth and visual learning experience in the comfort of your own home. 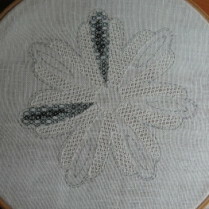 Each week you will receive an email detailing the week’s lesson and at least one video to assist you with stitching technique. 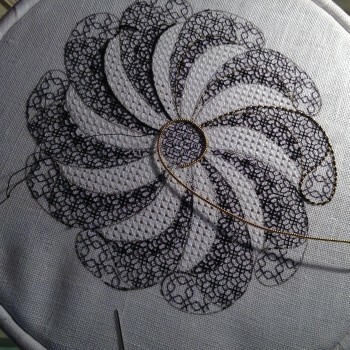 Jen actively encourages you to send her progress pictures for personalised feedback and you can join Jen’s Facebook page to connect with embroiderers from around the world. 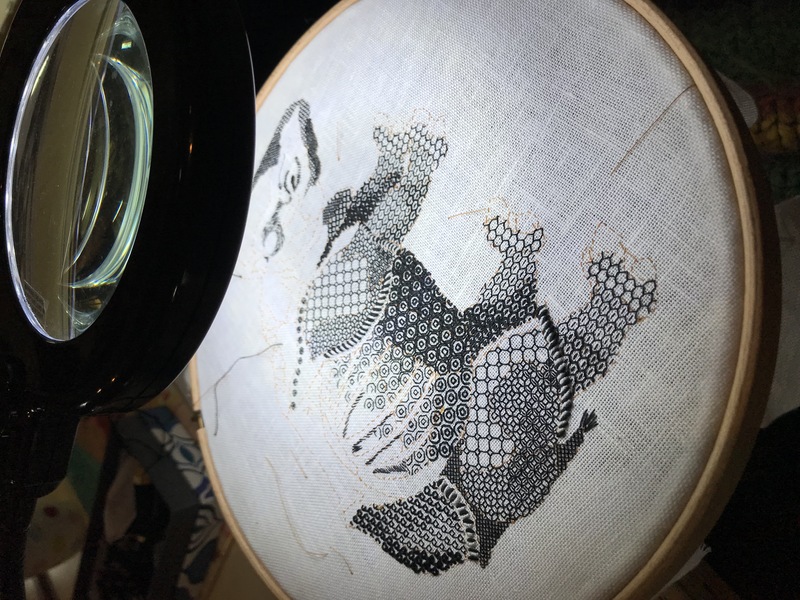 The next three classes are an interlinked trio of silk shading pieces to cover the three different variations, natural silk shading of a flower, tapestry shading of a person followed by the fluffy shading of a lion. You can choose to work the projects individually picking whichever interests you or you can decide to sign up for all three and progress through each developing your skills as you go. 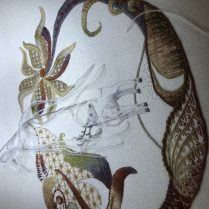 In spring 2019 a tapestry shaded figure will be embroidered. 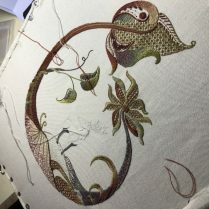 Tapestry shading is silk shading worked vertically with the folds and creases of the clothing being created with shading and split stitch edges alone. 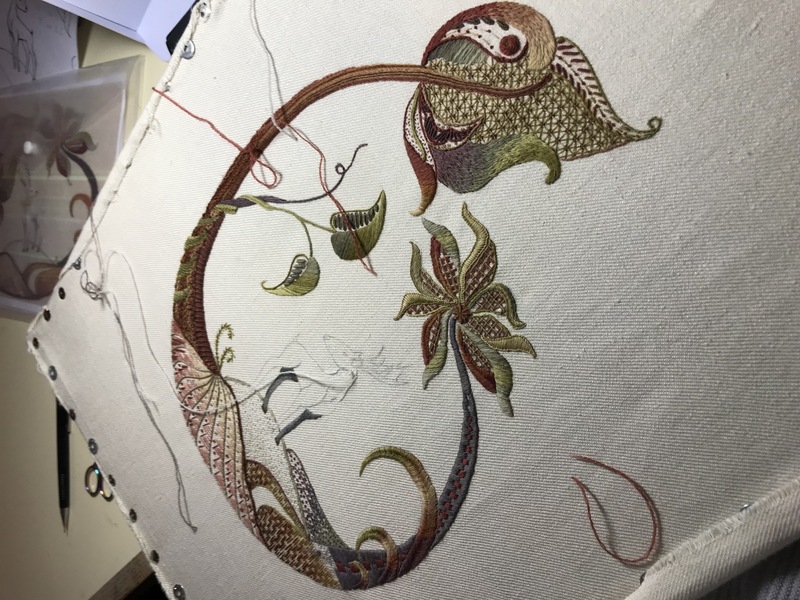 The biggest quirk with tapestry shading is establishing an order of work to ensure a three dimensional perspective is achieved. This is how saints were worked historically and is a very undervalued variation of this popular technique. 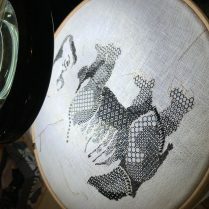 The final class running in the summer of 2019 will be the lion class, this will focus on textural shading to create dramatic movement through the mane along with fine detailed stitching to create the facial features. 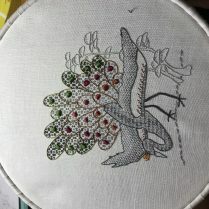 Stitching animals can be one of the most freeing forms of hand embroidery but it can also be some of the most challenging. Understanding the order of work mixed with the unpredictable angle changes are going to be considered here! August 2019 will see Jen’s stitching retreat return to the Springhead Trust site in the heart of the Dorset countryside yet again. As well as a week of embroidery tuition with a choice of projects to choose from, there will be unrestricted access to the beautiful private gardens. The Summer School will be running from Monday 5th to Friday 9th August 2019. This coming year we will have access to a new suite of rooms, including new bedrooms and a new, more relaxed stitching room. These are allocated on a first come basis. The residential school costs £475 with a deposit of £100 due at the time of booking. The outstanding balance is due 12 weeks before the summer school starts. Breakfast and lunch are included in the cost. The local tea room offers cooked breakfast and there are also many places locally for an evening meal. However there is also a large, well appointed kitchen should you wish to cook yourself. Any materials and kits are charged at the end of the week.